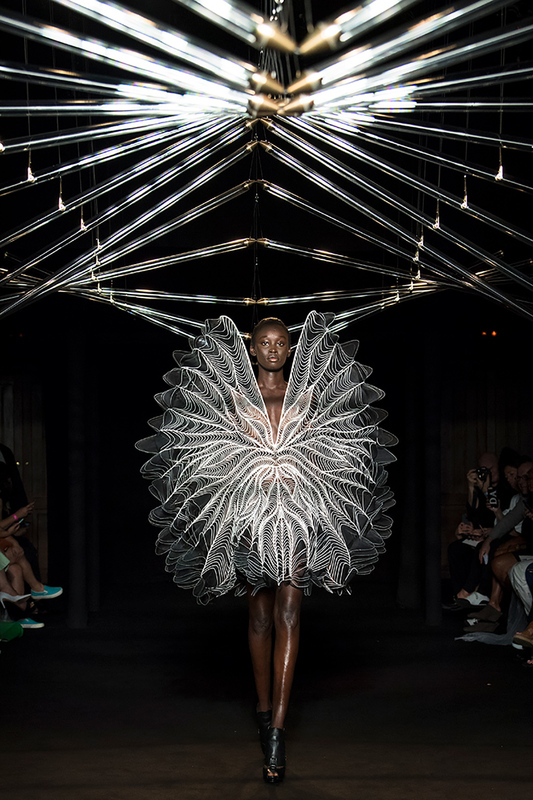 Iris van Herpen collaborates with artists Lonneke Gordijn and Ralph Nauta of Studio Drift for her latest Haute couture collection entitled “Syntopia.” The work creates immersive sculptures in the form of attire inspired by the element of light with movement. The fashion show took place at Le Trianon in Paris. Both the “Syntopia” collection and the “In 20 Steps” art installation for the showcase pays homage to our desire to fly and the potential evolution of humanity. 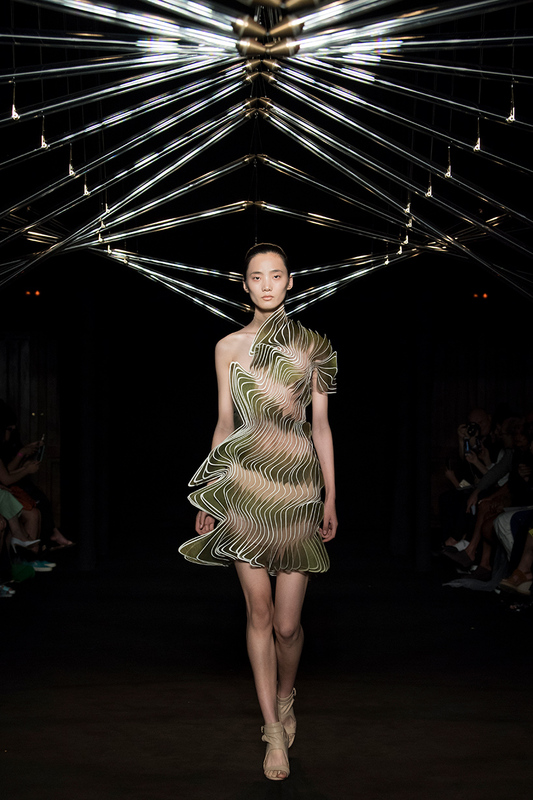 The billowy wings and the birds are made of delicate glass and the bird flows together gracefully and simultaneously with the models moving along the runway. The use of glass in both the attire and the installation emphasizes the fragility of new worlds living and soaring together. Map movement is used to create the visual artistry leaving the audience with only the visual implication of movement. 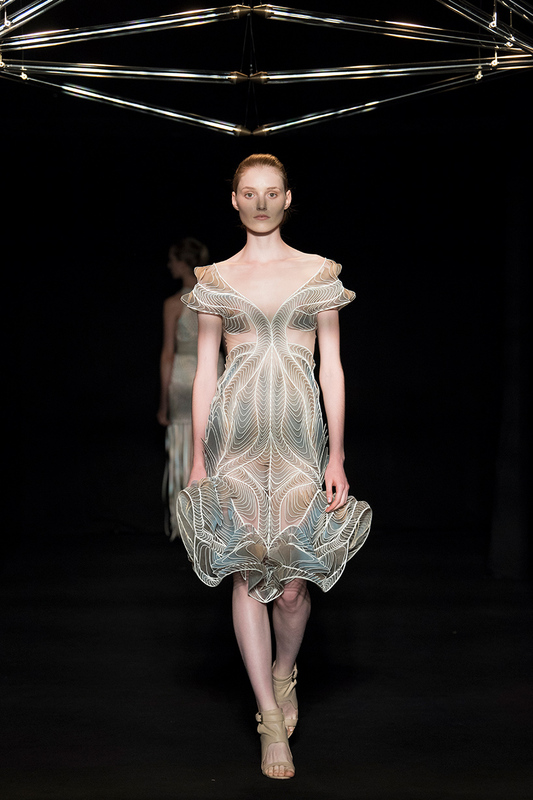 The attire drapes like time-lapse motion using chronophotographic lines into thousands of two-toned transparent organza layers. 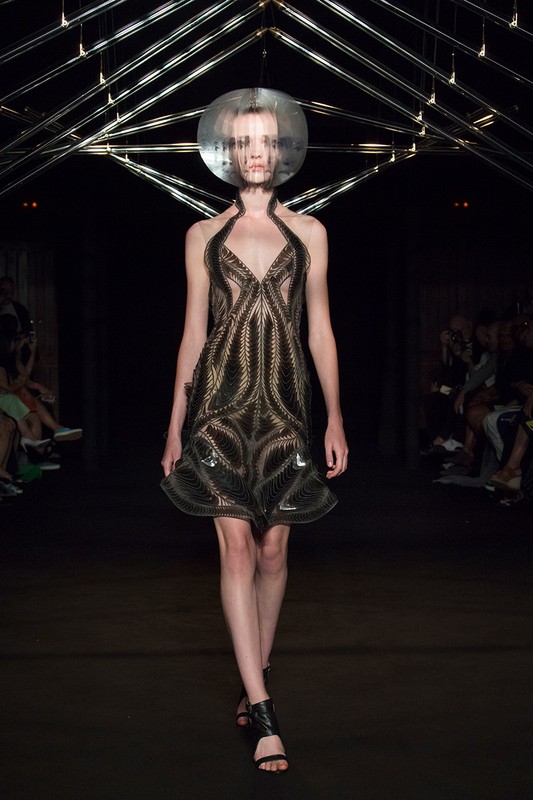 The mini corset dresses are created by mapping the patterns made by bird’s sound waves. They are made of laser cut mylar, black cotton, red organza and transparent black acrylic sheets, layering the silk and acrylic resembling feathers. “As a former dancer, the transformation within movement has hypnotized me. For this collection I looked closely at the minutiae of bird flight and the intricate echoing forms within avian motion. The artists studio drift inspired me to look more closely at the draping of a garment through chronophotography. 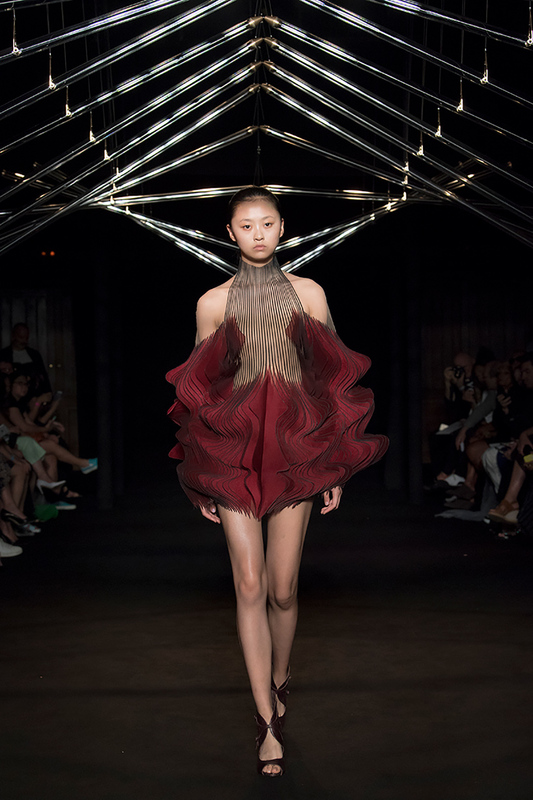 By slowing down time into split seconds I started breaking down the usual draping of fabric, to then layer the milliseconds all slightly shifted, like the layering of a bird’s feather,” says Iris van Herpen.